In this impatient era of email and instant messaging, there's no more meaningful correspondence than the handwritten letter, and adding a classic wax seal makes it especially impressive! 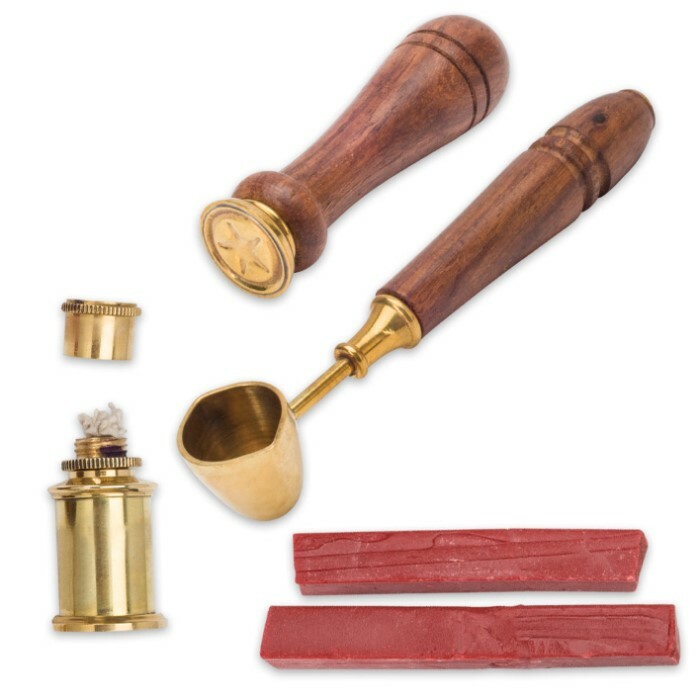 Sealing an envelope with a personal mark pressed in colored wax also dresses up stationary, invitations and other typed and printed communication, and this lovely antique-style wax seal kit makes it easy and fun! It includes everything you need to get started - a small brass oil lamp for heating sealing wax, a wood handled wax ladle, a stately wooden seal stamp with interchangeable brass seal imprint and brilliant red sealing wax. 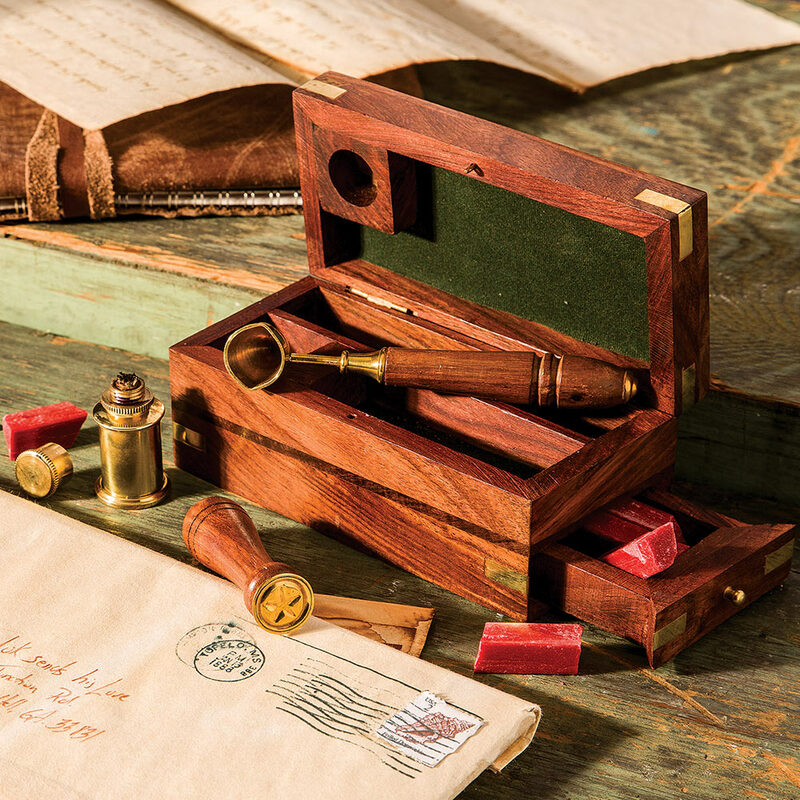 Even if you never use it for its intended purpose, housed in its handsome felt lined wooden box, this elegant wax seal kit livens any space in your home or office as handsome circa-1700s decor. The stately brass accented box even includes a handy drawer for storing wax, brass seals and other small items. At 5 3/8" long x 2 5/8" wide x 2 3/8" high it looks great on a mantle, bookshelf, desk, curio case or practically anywhere else, and makes a fantastic gift for any occasion! 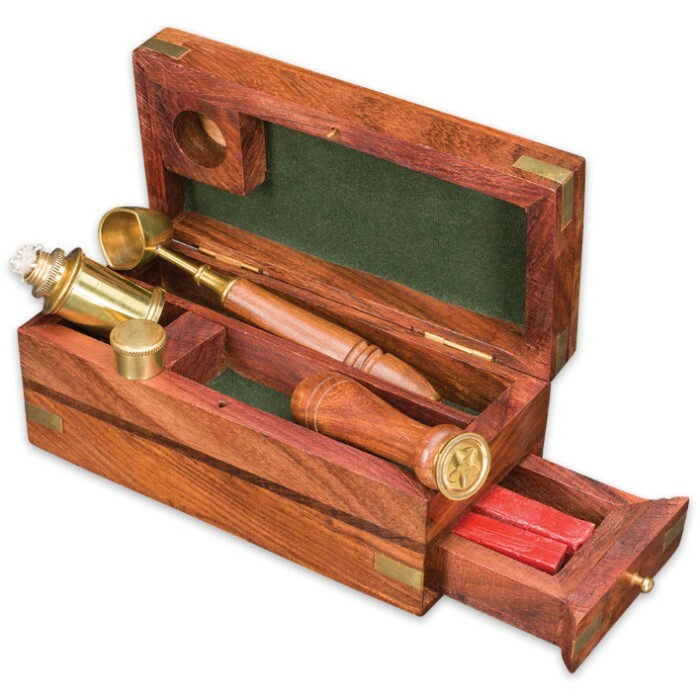 This Wax Seal Kit is a very nice way to put your seal on all kinds of things. This kit is of very high quality construction and a nice box. Thank You BudK.